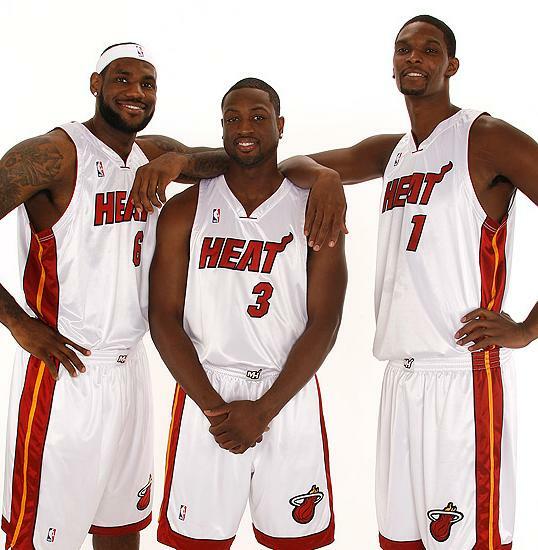 I think it’s safe to say that the big 3 in South Beach are finally playing as a team, which is bad news for the rest of the league. The Miami Heat has won 19 out of their last 20 games since the end of November. Their only loss in December came at the hands of the Dallas Mavericks who snuck by with a 98-96 win over the Heat. LeBron James is averaging 24.8 points a game; Dewayne Wade is averaging 24.7; and Chris Bosh 18.4. On average, the Big 3 are scoring all but 33.7 of the Heat’s total points per game. So yeah, they are finally playing up to their potential (and hype! ), and if December is any indication as to how the rest of the season will go…watch out. I will say again that I still don’t like the move the self-proclaimed king made when he took his talents to South Beach but wow, these guys are really starting to show that they can indeed play together and that they are possibly the best team in the NBA…and who doesn’t want to watch these guys? !